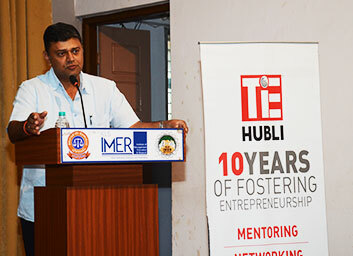 The Indus Entrepreneurs (TiE) Hubli in association with KLS IMER, Belgavai organized an interactive “My Story Session” with the Mr. Sachin Sabnis, Managing Director, Belgaum Ferrocast Pvt. Ltd. and winner of “Entrepreneur of the year award” TiECon 2018 at Hubli on 24th April 2018. Mr. Sachin Sabnis narrated his inspirational and motivational life experience. While sharing his entrepreneurial journey which he started in the year 1993 after one year of completing his engineering degree with a machine shop taken on lease which unfortunately closed within 8 months of operations but this doesn’t stop Mr. Sachin and he subsequently started first foundry in the year 1995, expanded with a second foundry in 2000 and establishment of Belgaum Ferrocast Pvt. Ltd in 2007 which manufactures Grey cast iron and Ductile iron precision components, employs 400 + people with a turnover Rs. 50 Cr + and 30% sales coming from exports. According to Sachin money was always a by-product and never a goal and end in itself. Information + Knowledge + Skills is a good combination. 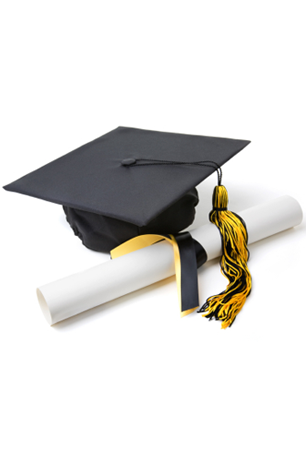 Understanding Financial Management, in addition to Technical skills is very important. TiE members, business persons, manufacturers, students & women entrepreneurs in large number attended the programme. TiE Hubli Charter member Shri. Venkatesh Patil, welcomed the gathering & introduced the speaker. Charter Members Shri. Prakash Mugali, and Shri. Mahesh Bhirangi felicitated Mr. Sabnis. Shri. Rajendra Belgaumkar proposed vote of thanks. Dr. Arif Shaikh, coordinated the event.